Guillermo del Toro is perhaps the most visually imaginative director alive today. Unlike Paul Thomas Anderson, with his infuriatingly perfect sense of visual balance, or Alfonso Cuarón, whose Oscar-sweeping Gravity required the invention of a novel, hyper-realistic filming method, del Toro doesn’t deal with real life. His domain is the fantastical. There’s a chance you may not have liked Pan’s Labyrinth, and even the distinct possibility that you’ve forgotten whatever it is that happens in Hellboy, (something about monsters? Saving the world? ), but I’d wager that its menagerie of hellish demons has been seared into your memory. 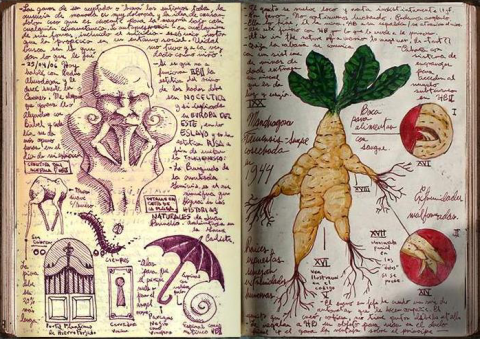 Late in 2013, del Toro released a voluminous book, entitled Cabinet of Curiosities: My Notebooks, Collections, and Other Obsessions. As he explains in the video above, the 256-page hardcover is a selection from his notebooks, where the director developed many of the monstrosities we've seen on screen. 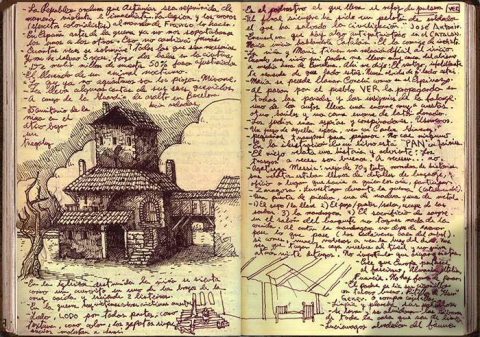 The Guardian Sket notes that there's something of da Vinci’s notebooks in del Toro’s records: the small, neat script, mixed in with the wonderfully detailed sketches, combine to give the impression of del Toro doing his best to record the torrent of his imagination before the thoughts disappear. In this post, we include a number of these images. 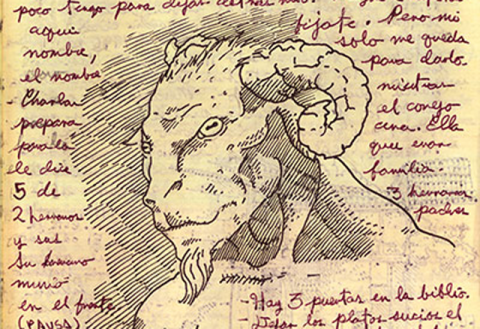 The first three sketches, including the one above, depict del Toro’s drawings for Pan’s Labyrinth. The fourth is a page from his work on Hellboy, and the fifth is art for his most recent film, Pacific Rim. 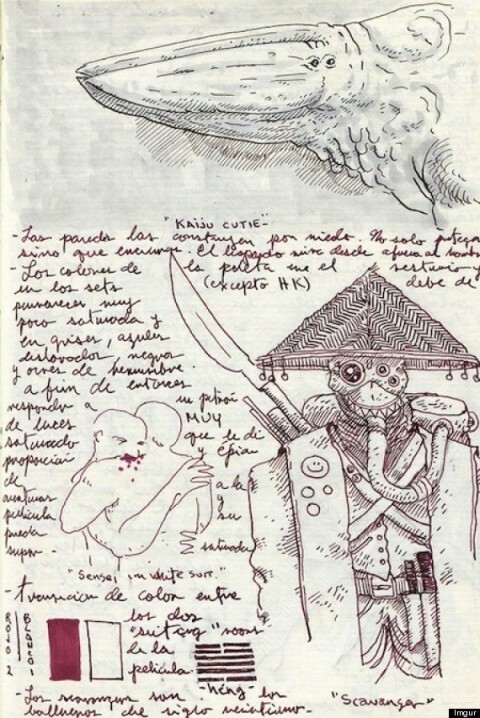 For those interested in viewing more of del Toro’s wonderfully bizarre sketches, a somewhat larger gallery is available here. The complete Cabinet of Curiosities: My Notebooks, Collections, and Other Obsessions is available at Amazon.com.